In simple terms, a lead refers to a person or company you are hoping to turn into a paying customer. Each lead should be a business that is a good fit for your product or service in terms of its size, market sector and turnover, and who could benefit from the solution you are offering. The way businesses qualify and categorise leads will vary greatly from company to company, but most will use a sliding scale ranging from cold to hot. 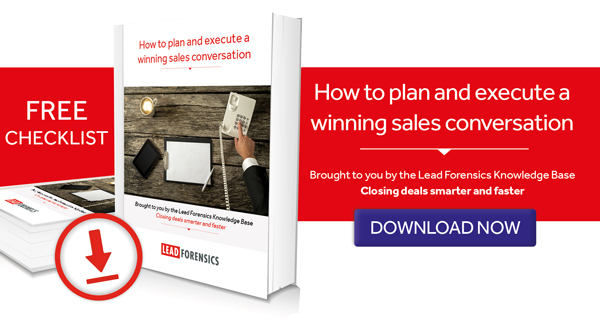 What is a cold sales lead? A cold B2B lead is a company that is a good fit for your product or service (based on your pre-determined criteria) but who hasn’t yet engaged with your brand. Cold leads are generally purchased from a third party lead generation company – a bought in contact list – rather than being gathered by a company itself. They will have a much lower conversion rate due to the unfamiliarity the contacts have with your brand. The aim here is to plug away until you find the few opportunities that may be amongst them and then to nurture these leads over time, to turn them into warm leads. What is a warm sales lead? A warm B2B sales lead is a business that has interacted with your company directly, completing a set of predefined actions. This may include filling out a contact form, visiting your website multiple times, or downloading certain content. Basically, any action that shows they are getting closer to the point of purchase and may be ready to be contacted by the sales team. The leads will have actively shown an interest in the product or service you are offering and will be much more likely to talk to you about their problem and your solution. What is a hot sales lead? A hot sales lead, also known as a B2B Sales Qualified Lead (SQL), is a business that has shown a strong intent to purchase and is worth contacting immediately. There are many ways you may judge that a lead is now hot, for example: they may have come to your website via paid advertising, been nurtured along the sales funnel, downloaded a sequence of content that indicates they are ready to make a purchase, or have been qualified personally by someone in your team. By targeting sales qualified leads rather than cold leads, you can save a huge amount of time and resources, leaving the sales team to concentrate on only the best leads.